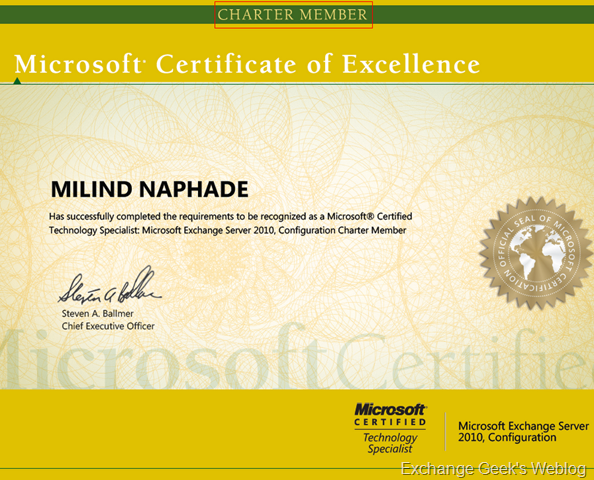 I took my 70-662 exam last week end on 31 Oct 2009 and now very excited to be certified on Configuring Microsoft Exchange 2010. This entry was posted on 02/11/2009 at 11:27 PM	and is filed under Exchange 2010. You can follow any responses to this entry through the RSS 2.0 feed. Both comments and pings are currently closed. WOOOOOOOOW Mack you have done great job…..